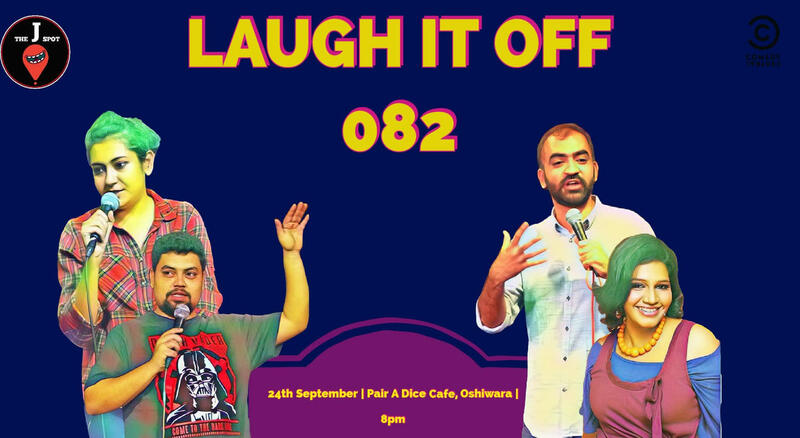 Time to get set for an enthralling night of comedy at J-Spot's Laugh It Off 082 powered by Comedy Central. Be part of a laughter riot hosted by the very funny Trupti Khamkar with the amazing comedians Punit Pania, Sumaira Shaikh and Navin Noronha. Join them at the prestigious Pair a Dice Cafe on the 24th of September at 8 PM.